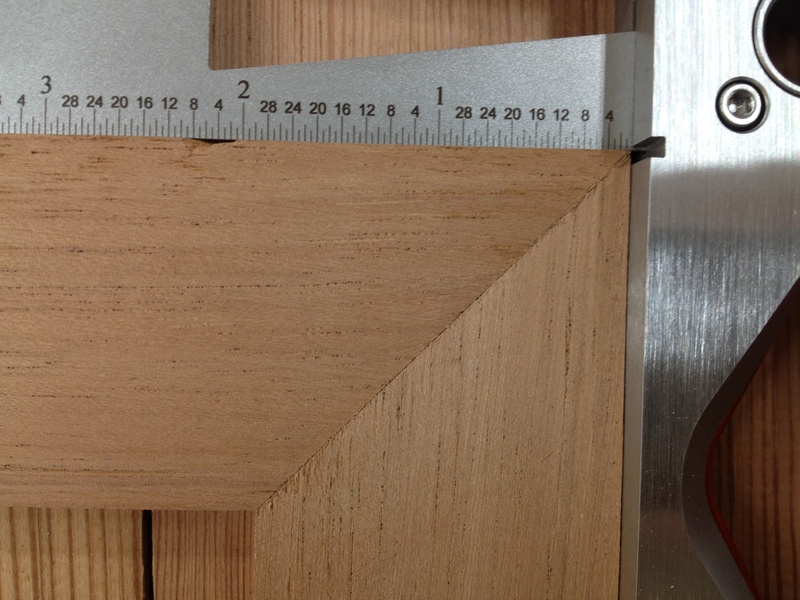 Under my last blog post, someone asked how well my Craftsman 3646 miter box did with miter cuts. I responded that I’d recalled making a test cut at 45 degrees and was pretty sure I was happy with it, but that I would make some more, just to verify. When I went into the shop last night to take a few more pictures of the new saw horses (that blog post has been updated now, by the way), I pulled out the miter box and my miter saw and made a few cuts. I didn’t want to just cut one time and then flip half of the board to make a 90 degree angle, because that will obviously always create a 90 degree angle. Instead, I made one cut and then made a second fresh cut on the cut-off piece at the opposite 45 degree miter setting. The wood is Spanish Cedar, which is why it is a little chippy on the edges, but I’m pretty satisfied with those cuts. Heck, this makes me down right excited! 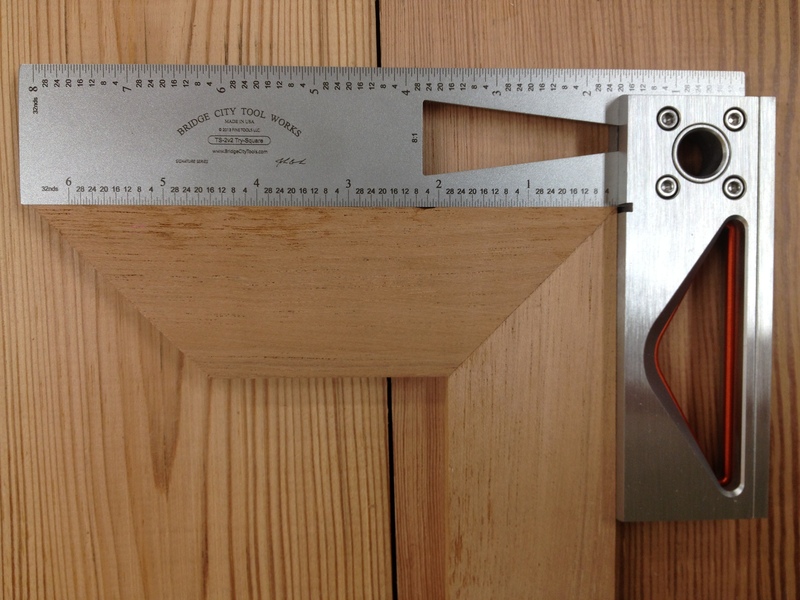 That there’s a nice miter! Makes me want to make a picture frame! But that will have to wait; I have two benches to finish up, first. In any case, there you have it, Alan. I’ll be interested to see how well my Stanley 150 miter box does when I finally get around to restoring it. I’m very impressed with my Craftsman 3646, though, so the bar is set high! *This is one of the few tools I own that I did not buy for myself. It was a gift, from my loving wife, on my 40th birthday last year. Yes, I am blessed with an awesome son AND a great wife! And if I didn’t think she occasionally read my blog, I’d post a picture of what I’m getting her for her very-special-but-unnamed-birthday this year. I think it is just as nice, if not nicer. Thanks for the follow up, Ethan! Your cut definitely looks better than anything my 150 has produced. I’m definietly going to try to rework the setting again to see if I can get any improvement. No problem, Alan! I’ll certainly post something once I restore my 150. Maybe we can compare notes at that time and see if I run into the same issue or, if not, what might be different.